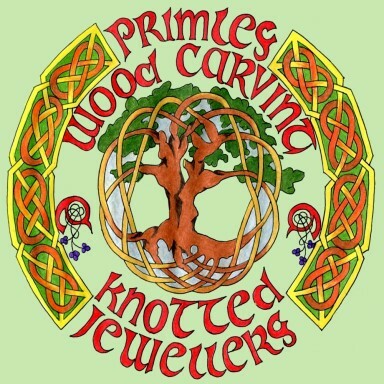 Home of Fine Carved Artifacts and Unusual Jewellery. 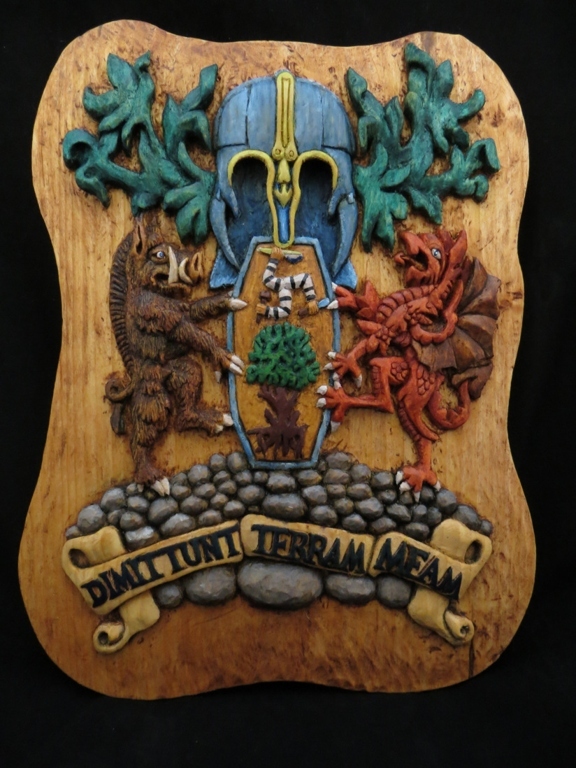 Hand Carved in Wood. 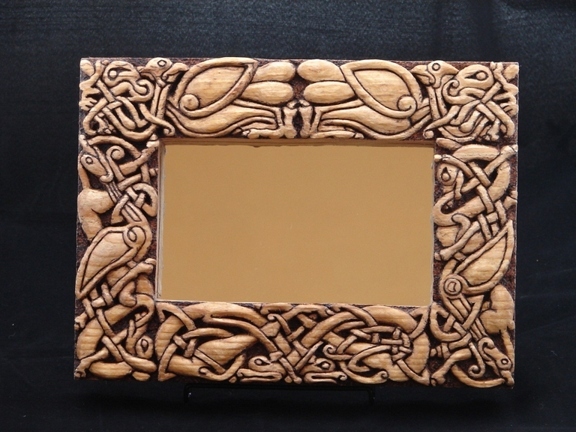 Green Men, Celtic Knotwork Plaques, Mirrors, Carved Panels, Jewellery Chests and much more! 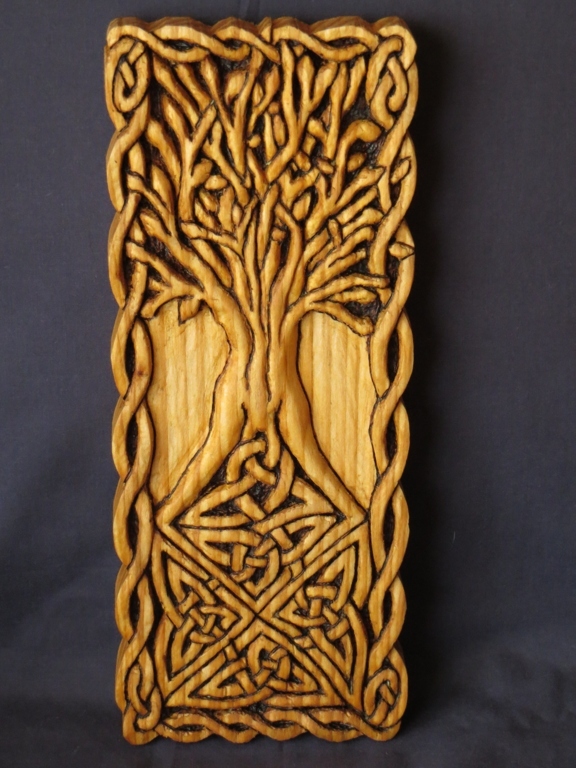 Specialising in Celtic and Dark Age northern European designs. Also Knotted and Tatted Hand Made jewellery including Earrings, Bangles, Necklaces, Rings and Bracelets, made by my partner Viv. Available individually or in sets. All of our products are hand made so each one is unique. All products hand made to order. 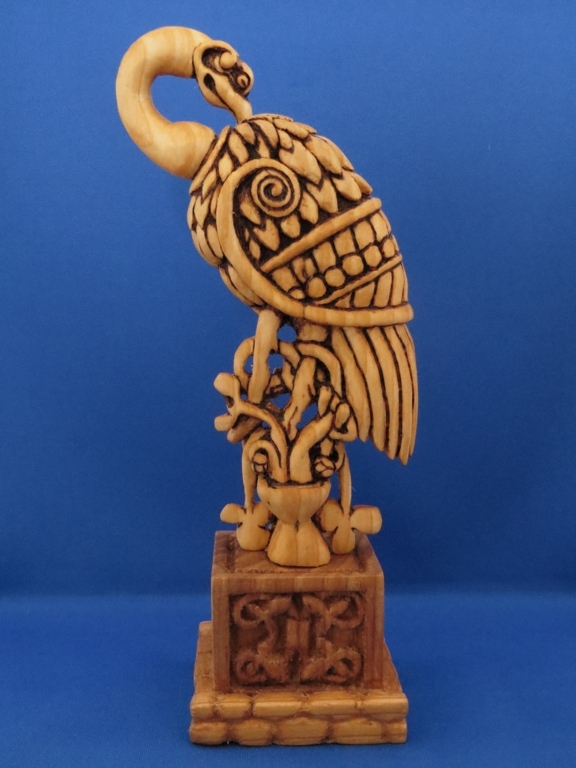 This beautiful carving of a Celtic Crane was adapted from a sketch in the Book of Kells. The crane was sacred to the Celts, reflecting the link between air and water and was often depicted with the willow tree. It was thought to have the ability to metamorphasise and also carry the souls of the dead to the other world. It is depicted entwined in the tree of life. Approx size: 25cm tall x 7.5cm wide (approx 10cm inc neck) x 7.5 deep. 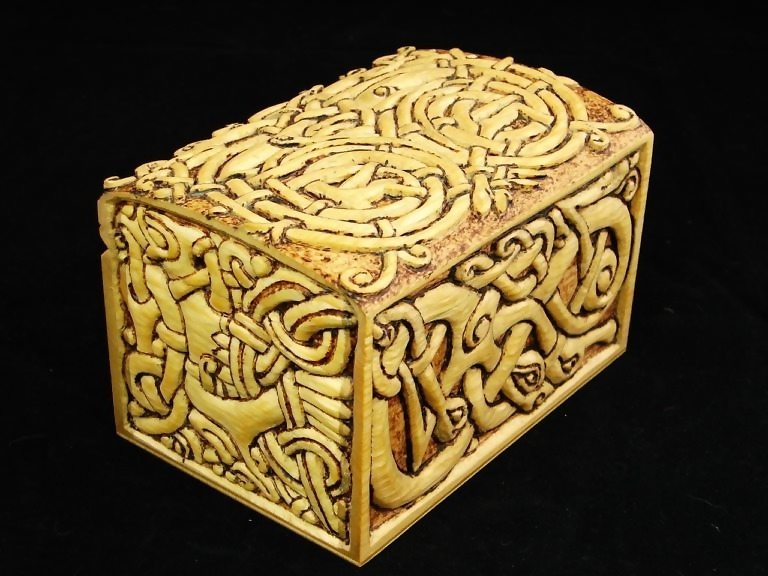 Intricately carved with a different design on each of the four panels, showing the progression of Viking art from the pure Scandanavian through to Hibernian Norse. The chest is lined in velvet with a choice of four colours, red, green, purple or blue.